Posted on Tue, Mar 6, 2012 : 10:14 a.m.
On Saturday, March 10, the Michigan Theater will host the Michigan premiere of Greenhills Schools grad (’98) Graham Meriwether’s first documentary feature. What’s the meat of the matter? Well, meat—specifically, sustainable meat production in the U.S. 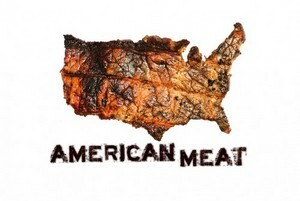 The 82-minute film “American Meat” was, in a way, born while Meriwether read Michael Pollan’s bestselling book “The Omnivore’s Dilemma” in 2006. Originally, Meriwether conceived of the project as a verite film, but after spending time talking to Salatin, and deciding that the use of stock footage didn’t feel right, Meriwether invested another couple of years visiting conventional chicken farms, hog farms, and cattle feed yards. “It totally changed my perspective and made me realize that there’s not evil agriculture and good agriculture,” said Meriwether. “That they’re all family farms that are trying to make a living. A lot of times, people have to sign a contract they’re not excited about, but they think it’s the only way to keep the family farm. So from there, we realized that there was a revolution going on in niche production, small craft farms. So we filmed with young people who were starting to do that, and we filmed with older people that were changing their careers so they could start farming." How much: Advance tickets are available online at http:// www.americanmeatfilm.com/michigan_theater; tickets cost $10 at the door. The “American Meat” pre-screening dinner at the Roadhouse costs $55 per person. The film took four and a half years to make, and funded by grassroots organizations, individual donations, and credit cards. “That was definitely one of the hardest things, raising the money,” said Meriwether. But Meriwether, now based in New York, has no plans currently to submit “American Meat” to film festivals. And while many of us hear tales of people who turn vegetarian after seeing American meat practices up close, Meriwether managed to reconcile what he saw and learned with his own personal eating choices. “I only eat meat if I know the farm where it comes from,” said Meriwether. “(Spending time on a farm) can be shocking, especially for people like myself who didn’t grow up on farms. When I first started shooting, I was much more shocked. But as I spent more and more time filming, I became more aware of the natural cycles of death and life. I look forward to seeing this when it comes out, although I suspect it will increase my growing tendency to vegetarianism rather than make me look at sustainable meat production.